Signs | Sana Ako si Ricky Lee! If Nothing Seems to Go Right and Everything Seems to Go Wrong in Your Life You Might Have An Afflicted Bazi! – How Chanting of Mantras and Offering of Flowers Can Help! I once had a person come to me to tell me that everything seems to go wrong with his life and nothing seems to go right. In fact, he said, everything is so wrong in his life that he really wants to commit suicide already. He is seriously contemplating taking his own life. My first recommendation for him is to immediately get professional counseling. I’m certainly not equipped to handle this kind of case, at least, not in the perspective of professional help. I’m glad that he took my advice and has started to get better. He has become a little bit more equipped in handling his problems. Nevertheless, he still contacted me to ask for help because while counseling has helped him get better with how he copes with his problems, the problems are still there. You see he really has a lot of problem. He lost his only child then his wife left him for another man, and she took all their savings. Furthermore, his mother got sick and paralyzed, while his father continue to launder their money for his mistress. He certainly has a lot of problems and upon checking his Bazi Chart / Paht Chee Chart it shows that his Bazi is terribly afflicted. There were a lot of conflicting elements and signs! Also told him to offer flowers and half – sack to one sack of rice everyday to the image of Bodhisattva Guan Yin (also spelled or called as Kuan Yin, Kuan Shi Yin, Guan Shi Yin, Avalokitesvara, Kannon). He followed my advice and was told that things are a little better than before. I believe that if one has at least one powerful amulet and is sincere and is able to chant mantras at the deep meditative level, no matter how bad is your bazi is, things will get better. Are You Suffering from a Severe Bazi Affliction that Causes Career, Money, Relationship and Personal Problems? An Ing Deng Pay is A Powerful Taoist Cure for These Problems. The Ing Deng Pay Also Addresses the Problem of An Afflicted or Missing Sector! The Landlord’s Tablet: More Than Just A Symbol of Power and Wealth. Financial Blessing, Recuperation of Career, Academic Excellence, Justice for Maltreatment of School Officials – A Family Received Several Miracles: A Vajrapani Ruel and Ing Deng Pay Miraculous Personal Testimonies! Will generally have a good year. You’ll find that your career will be great and you will be quite successful. Wealth luck might be good also. I say might, because while you have the potential to have this luck, it might be dampen a little by the Black Sky Star, which is found through the use of the Purple Flower Star Astrology or Purple Star Astrology. Nevertheless, this year you’ll find yourself surrounded by helpful people and it’s up to you to utilize them. However, you’ll also find yourself a little overwhelmed with the possible work ahead of you. Remember you can only get your wealth luck if you work for it and being swallowed by the task ahead will set you back. You have to be careful though with your health luck. This is also due to the presence of the Black Sky Star. While this won’t bring about any serious illness, having this star might set you back a little because of a bad cold or a fever. When it comes to relationships, this is quite a bad year for both the single and partnered rat. The Black Sky Star is further aggravated by the two clashing pillars of the year. Wear an image of a Protective God (Sun Wukong or Kuan Kong (Guan Gong) or Amitabha Buddha) to protect yourself from the Black Sky Star. 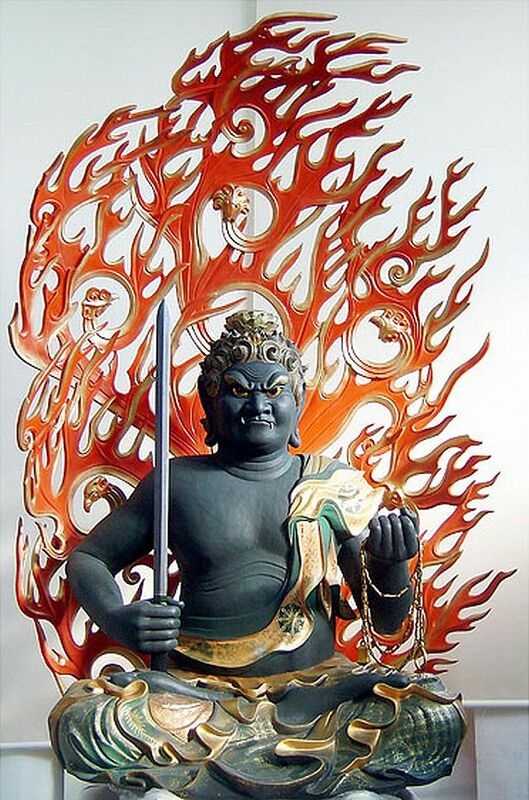 Amitabha Buddha is a very powerful protector Buddha. Wear or carry an image the Victory Banner. Wear a Holy Gourd or a Medicine Buddha Pendant, preferably with Mantra. Carry or wear the Double Happiness symbol. Wear the Lung – Ta (also known as the Wind Horse) to avoid the slight bump brought about by the two clashing pillars of the year. You don’t need this if you have the complete elements in your Bazi. But wearing one won’t do any harm but it will continue to bless you with continued success. This is especially true for people born in the year of the RAT, TIGER, DRAGON, SNAKE, SHEEP/GOAT, MONKEY, ROOSTER, and PIG. Since the Five Yellow Star is in the Center this year. It is also advisable that all of us safeguard ourselves from this star. We don’t know when we’re going to be in the center of a house, or building, etc. It is advisable for all us to wear the Five Element Pagoda. Will have a very good year for both personal and professional life. Your life palace shows that you have the Wealth Star and this means that money will easily come to you this year. However, note that you have the tendency to get into a lot of argument, so just simply watch out for that. This is further strengthened by the Excellent Seal Star, which is shown by using the Purple Flower Star Astrology. The Ox born in 1973 should watch out for the Snake born in September of 1965. For some reason, which started last year, the two signs, which are normally friendly to each other, will find themselves clashing. The Ox seems to be at the loosing end, but the Snake seems to be at the wrong. However, this is not generalizing but seems to be what is indicated in the chart. While this particularly true between the Ox born in the year 1973 and Snake born in the year 1965 with focus on the month of September, all Ox born people must be careful in getting into arguments which might lead to a long term disagreement or fight. The Purple Star Astrology shows that there are a number of minor namely the Goat Horn Star and the Brown Flag Star, which might cause some accidents and/or aggravate the possibility of an argument. Wear as a pendant an image of the Wealth Deity/God like Sun Wukong or Kuan Kong. This is if you want to further enhance your wealth luck. They will also act as a protector from the effects of the Goat Horn Star and the Brown Flag Star. Wear or carry the Ksitigarbha Fireball. If you wish to know more about the following Buddhas, Bodhisattavs. Cures or Enhancers mentioned in this post. Please just click on the link. Thanks. Will have very good financial wealth luck this year. However, the presence of the violent star in your life palace indicates that you have to be careful about losing your money. Be careful also for possible violent incidents this year. Career wise it will also be very good for you. However, the presence of Crooked Star as indicated by the Purple Star Astrology indicates that you might have some reputation problem towards the middle of the year. However, you will also notice that you will seldom get recognized by your efforts and that other people might get credit from your hard work. Because of this, success in terms of recognition might not be attained. However, be happy that the Purple Flower Star Astrology or Purple Star Astrology also indicates the presence of General Power Star and the Land Relief Star. The General Power Star indicates that if you get into a problem, you will find solutions easily if you focus on your own strength, also the Land Relief Star will also give you the resources that you need to attain whatever you wish for. Wear an image of Sun Wukong or Kuan Kong to protect you from the violent star. Wear an image of the Maitreya Buddha (also fondly and popularly called as the Happy Fat Buddha) to cure the effects of the Crooked Star. Wear or carry a Victory Banner to help you become always victorious. Will have a good year even if wealth luck is not very high. You have the Heaven’s Luck or Blessing star in your life palace and you’ll find yourself being bless in a lot of ways, especially when it comes to your personal life. While wealth luck is not very high, it is neither bad. In fact, you’ll still see some improvement. The Purple Star Astrology indicates the presence of two other stars. First, the Death Amulet Star, which means that there is a possibility of death or serious illness not with the Dog itself but may be with an elderly family member. The other star is the Haul Paddle Star, which indicates that there is going to be a big professional change in your life this year. Wear a 3-Legged Toad pendant or an image of the Yellow Dzambhala as a pendant to enhance your career luck. 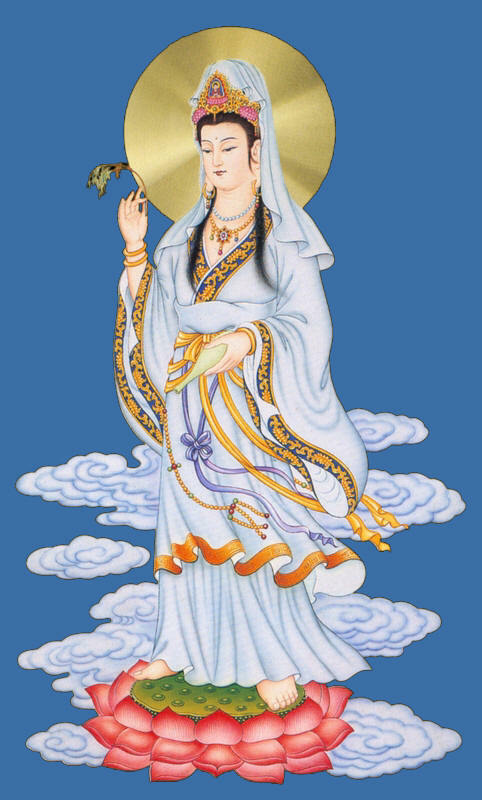 Put an image of Kuan Yin (The Goddess of Mercy), or the Medicine Buddha to counter the effects of the Death Amulet Star. To ensure that the Haul Paddle Star enters smoothly wear an image of the Goddess Tara or the seed syllable of the Goddess Tara, which is TAM. The WISH FULFILLING AND BUDDHA’S BLESSING MANTRA PENDANT also has the seed syllable TAM. 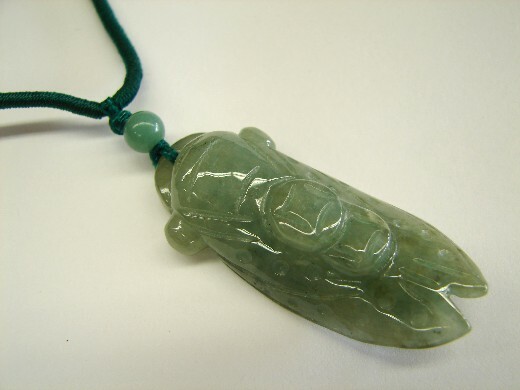 This is a jade Goddess Tara pendant from my personal collection. Is in direct conflict with the Tai Sue and this might pose some of the difficulties in attaining your personal luck and your heaven’s luck. Wealth luck is average, however, since your life palace is flank by a Violent Star, you will have to be careful that you don’t lose this through robbery. Be careful also that you don’t get into unnecessary expenditures also. Personal luck should be better, unless you’re unable to appease the Tai Suey. Carry or wear a Piyao (also spelled or called as Pi Yao, Pi Xiu, Pixiu). 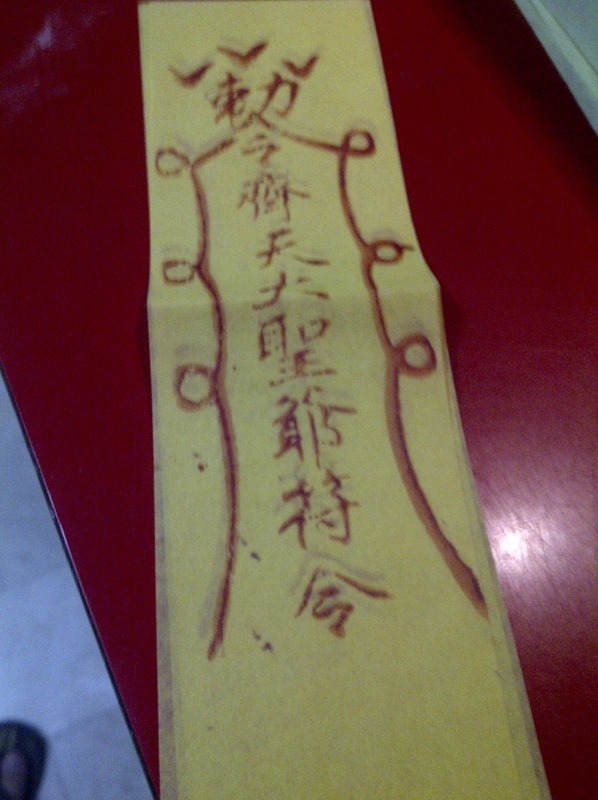 Wear a Sun Wukong or Kuan Kong (also spelled as Guan Gong) to protect you from the Violent Star. Wear an image of the Yellow Dzambhala or a 3-Legged Toad pendant to help enhance your wealth luck. Will have not have very ideal wealth luck this year. However, career luck might be on the swing. Meaning, this is a year where employed people born in the year of the Horse will be luckier than the one’s who are in business. The employed horse will have a more stable financial luck than the entrepreneur horse. Also the Purple Flower Star Astrology also known as the Purple Star Astrology indicates that you have Bad Chi Star, which will have an effect on your overall luck and pull you down a little. But the Purple Star Astrology also indicates that you have the Sun Star, which is a very good star to have. This together with the Flying Star #9 (Future or Multiplying Luck Star) indicates that you somehow your inner being will indicate whether you will have a good life or a bad one. Wear an image of the Yellow Dzambhala to help you with your wealth luck. Wear a Ruyi or an image of Sun Wukong or Kuan Kong (Guan Gong) to help you with your business. Wearing an image of Sun Wukong or wearing a Kalachakra Pendant will also help you deal with the Bad Chi Star. Wear or carry the Wish Fulfilling and the Negative Karma Cleansing Mantra to help you enhance your good karma and clear out all your negative karma. Will have to be very careful about their health luck. You’ll find yourself sicklier or more prone in getting into accidents. Wealth luck is not very ideal either, and you have to be very careful in getting into big business transactions. There is also no significant good change in your career life, and you have to be very careful about being complacent because a simple mistake can be detrimental. What’s worst is that the illness star that flies into your life palace is further aggravated by the negative stars that are indicated by the Purple Star Astrology. There are several of these stars, and they are the Flying Chaste Star, which may make you more prone to accidents. Also you have in your life palace the Earth Death Star and the Earth Door Star, this star indicates that they may be death of a loved one and a possibility of grave illness. Wear a jade Wulou or an image of the Medicine Buddha as a pendant to protect you from the illness star and the Flying Chaste Star. Wear an image of the Yellow Dzambhala or Sun Wukong to help you with your wealth luck. Wear an image of Sun Wukong or Kuan Kong (Guan Gong) to help you with your career luck and help you with your business. Wear an image of Sun Wukong or Kuan Yin or the Kalachakra as pendant to protect you from the Earth Death Star and Earth Door Star. Will see an easing from arguments and relationship problems. However, I’m afraid that all is not well because this time the Monkey will take a beating with their health luck. Wealth luck is also going to be a bit of a challenge. It will feel like that ‘you’re swimming against the current’ and it will exhaust putting more toll against your health. While there will be lesser arguments, you still need to watch out for your relationships with the people you work with. Do have less talk and more action. Do not just bark you have to bite a little. Monkeys who are married to a snake, especially Monkeys born in 1968 should face the reality that they are married to a person who might not be totally honest with them. Love and respect your husband but take a look at what’s your worth so that your spouse won’t feel that they can get away with their infidelity with you. The Hanged Spirit Star as indicated by the Purple Star Astrology might make you feel insecure further aggravating your relationship problems. You have to remember that you can share your feelings with your family members. An Ox family member may be especially helpful. Be careful also of the Painful Knot Star also indicated by the Purple flower Star Astrology, which may bring in a lot of gossips and might put you in a compromising situation. However, the Country Wealth Star of the Purple Star Astrology and the Multiplying Star of the Flying Star method indicates that you will get some of the help you will need. Wear an image of the Medicine Buddha with mantra or a jade Wulou pendant. Wear an image of the Yellow Dzambhala or the 3-Legged Toad as a pendant to help you with your wealth luck. A married Monkey should tie an amethyst geode on the foot of their bed and wear a double happiness symbol pendant. Wear the Ruyi to give you more authority. Wear an image of Sun Wukong to help you in your business pursuits. To counter the effects of the Hanged Spirit Star wear an image of the Maitreya Buddha (also popularly and fondly called as the Happy Fat Buddha). To counter the Purple Knot Star wear a Kalachakra pendant. 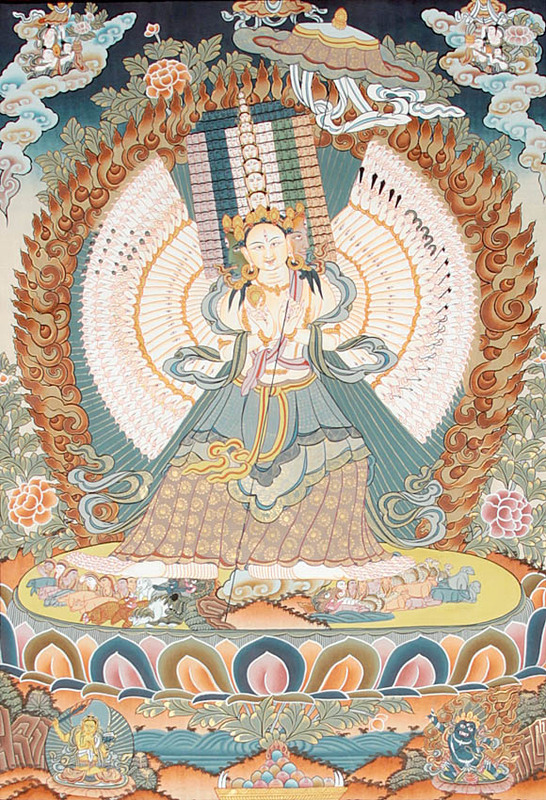 For over-all protection and luck enhancement wear an image of the Chundi Avalokitesvara or the Thousand Hand Kuan Yin. Will have a generally good year. It is also a year where in scholastic pursuit or scholastic approach to things will help you reap success and wealth. You’re also flank by the Flying Star #9 meaning what you sow is what you will also reap. Do more good things and you will also be rewarded with more blessing. Money or wealth luck will be smooth but you have to more open to advice coming from your family. Do not dupe yourself into thinking that you know everything. Romance luck may be good for single dragons; however, those who are partnered should safeguard themselves from a possible third party. 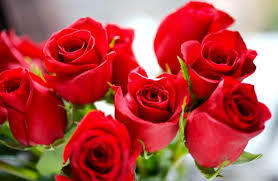 Whether you’re a single dragon or a married or partner dragon you should be thankful for the presence Crimson Chamber Star, as indicated by the Purple Flower Star Astrology, because this star will enhance the positive effects of the Romance Star but at the same time it will help safe guard the relationship of the dragons who are already in a relationship. You are also partially affected by the Argumentative Star thus it will be good to take control of your temper. The 37, 63 and 71 years old Dragon should be careful with their health. The Tai Suey is also in the same sector of the sector of your life palace. You’ll have to be careful not to offend the Tai Suey. Wear an image of the 3-legged toad or of the Yellow Dzambhala to enhance your wealth luck. For single dragons wear a pair of mandarin ducks or the symbol of double happiness pendant. Wear the Ksitigarbha Fireball as a pendant. Wear a jade wu lou or holy gourd or an image of the Medicine Buddha pendant. You can also wear the symbolic script of the Medicine Buddha. Wear a Piyao either as a bracelet or as a pendant to appease the Tai Suey. 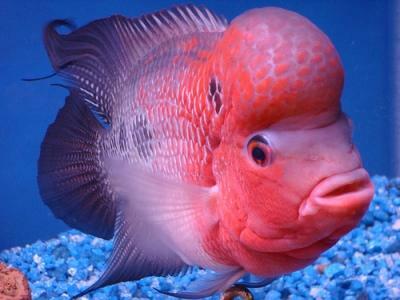 Will have to remember that you have a turbulent but potentially a good year. The stars are in your favor, however, the presence of the Tai Suey in your life palace will have to be taken care. You do this by sincerely being good and nice. You can also avoid the wrath of the Tai Suey by carrying or wearing an image of the Piyao (also spelled or called Pi Yao, Pixiu, Pi Xiu). Also, some of the Snakes had very financially rewarding 2012. However, most of these are indirect wealth in the sense that they had this because of the big help or big influence of other people. You might still have that, however, the Snake that forgot and become swell headed will see themselves taking a financial dip this year. That is simply the law of Karma working as indicated by the future blessing’s star. The Snake born in the year 1965 will have to learn to be humble, among all the other people born in the snake year, it is the one born in 1965 that has the highest potential to have good luck, but also has the highest potential to have bad luck, this is because you are greatly affected by the multiplying star thus making whatever you do or think multiply several fold. All snake should be careful with their health and do watch out for possible accidents. The Purple Flower Star Astrology or Purple Star Astrology also indicates that you have the Hidden Death Star. Despite of the name of the star, the star no effect on death, however, it has something to do with your family relationship. This star might lead to frequent arguments. Also, if you’re a married snake and are living with your in-laws, remember that you have to be humble in your manner in dealing with them. You have to be careful also because you have the potential to get into infidelity, worse you might set your eyes with one of your in-laws. Remember that this is a disgraceful act!!! Again, for the Snake born in 1965, you will have the tendency to have a big fight with an Ox born in 1973. Without generalizing, the stars indicate that most likely it’s the Snake who is at fault. Remember that the Ox is only defending his/her family. Piyao worn as a bracelet or pendant. Wear an image of Kuan Yin or Green Tara or Ji Gong to help you remain humble. Wearing a prayer wheel pendant, and putting several prayer wheels in your office, room, and home will also help. This is a jade Ji Gong pendant. It’s very similar to the one that I have. Wear a jade Wulou or an image of the Medicine Buddha with mantra as a pendant. Wear a Kalachakra to protect you from the Hidden Death Star. Will have a complicated year brought about by a lot of the conflicting stars both found in the Flying Star and Purple Flower Star. Having said that, if I were to say whether it is a good year or not, I’d say that it is generally going to be a good year. The Flying Star formula indicates that you have the wealth luck this year, however, this calls for some strict discipline and vigilance on your end, because you are also somehow affected by the Flying Star #7, which is the Violent Star or what some people will call as the Robbery Star. Because of this your wealth luck will tend to be average, and you will see that you have to work harder for you to get the wealth that you aspire for. It can be ‘dangling’ in front of you but not easily attainable. But look on the bright side and all you have to do is enhance it and then cure the negative star. Career luck is also a little promising, however, you’ll find yourself in a lonely path to success. Meaning you won’t be able to rely others except on your own hard work. As I said it’ll be a complicated year, you’ll find yourself on your own when it comes to success, however, when facing some trouble you’ll find helpful people, but their involvement can be a little fleeting. Your Purple Flower Star Astrology indicates that you have the Six Danger Star. The 6 Danger star despite of the name doesn’t mean that there are six different kinds of danger. However, it is still that one should be wary of because it is a star that may bring about feelings of loneliness and depression. The star at the very least will make you ill tempered or moody. 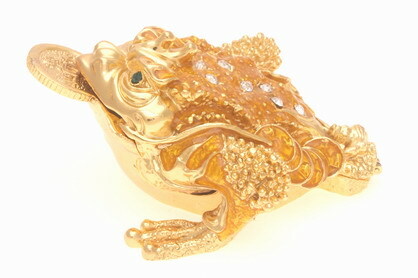 Carry or wear the 3-Legged Toad as a pendant. This is a very powerful Feng Shui enhancer or cure for people who are unable to attain the wealth luck that is already at hand. The pendant that gave my friend is similar to this one. Wearing a three-legged toad pendant is also very auspicious. Wear the image of Sun Wukong or Kuan Kong (Guan Gong) to protect you from the Violent Star or from any harm. Both Sun Wukong and Kuan Kong can also help you achieve better career. To know more about this you can read my post about Sun Wukong and Kuan Kong. Wear the image of Kuan Yin or Goddess Tara or the symbolic scripts – OM AH HUM, Medicine Buddha Mantra, or the seed syllable TAM to counter the negative effects of the Six Danger Star. Is in charge of his/her luck this 2013 – year of the Water Snake. This is the year when you need to a little scholastic in dealing with your wealth and career. Meaning, you have to study everything that you get into for you to be able to achieve success and wealth luck. The appearance of the Jade Hall Star as shown by the Purple Flower Star Astrology indicates that your scholastic luck is further enhanced. Rabbits who are in the field of education will find themselves ‘shining’ in their field. The sad thing is the Flying Star #3, which is the Argumentative Star, is in your life palace now. This means you’ll find yourself getting into a lot of arguments and fight. If you are not careful, this might escalate into a legal problem. You will need to think twice before you act or react. The Purple Flower Star Astrology also indicates that you have the Deferred Guest Star. This star is harmless unless activated by the person who has this star in his or her life palace. The Rabbit has this star so it is best not to activate this star. How does one activate this star? This star is activated when one goes into a highly Yin place such as a funeral or a cemetery. When the Deferred Guest Star is activated it will absorb all the negative energies that are present in the highly Yin place and it may create havoc in your life. A Rabbit will also have a balance romantic luck. It will be positive but not too great that they have to worry about third party involvement. Ruyi to enhance career luck and wear an image of Yellow Dzambhala to enhance wealth luck. If you’re single and want to look for a partner, you can enhance the romantic luck by wearing a double happiness symbol or a pair of mandarin ducks pendant. To counter the Argumentative Star carry or wear an image of the Ksitigarbha Fireball. Again the best way to avoid activating the Deferred Guest Star is to avoid going to highly Yin places like the funeral house, hospital or cemetery. However, if this totally unavoidable wear the symbol of the Kalachakra as pendant. Truth be told, if you have this star it is good to simply wear the symbol of Kalachakra because you’ll never know when you’ll get yourself into a Yin place, especially when you travel a lot.